Century’s Alizabeth Krick and Halle Dunlop shot their way to first place in the Junior Varsity and Novice Female Divisions respectively at the 2018 North Dakota State High School Clay Target League (ND CTL) Class 1A State Championship in Horace, N.D. on Saturday, June 16. 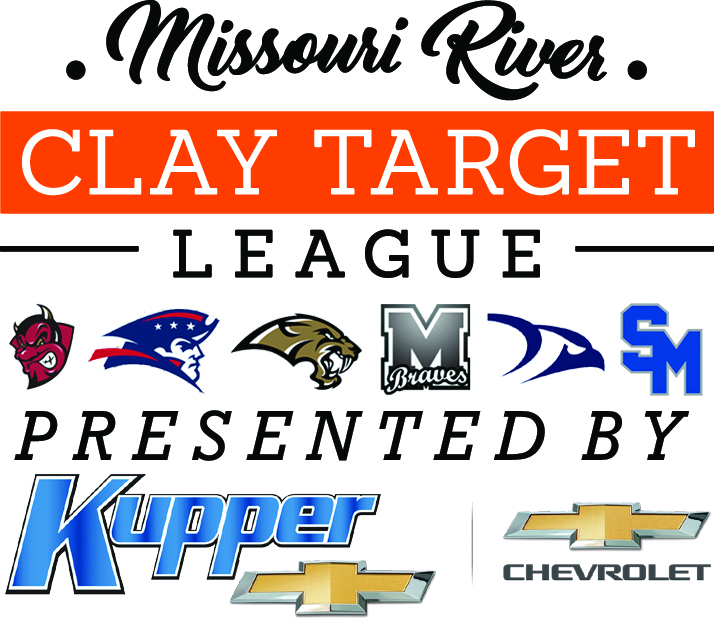 Along with Century, Missouri River Clay Target League (MR CTL) teams from Bismarck, Shiloh and St. Mary’s took part in the year-end competition, with the latter two teams competing for the first time in the season-end event. In total, 38 shooters from the four schools participated in the day-long, 100-round competition which was interrupted early by severe thunderstorms. Nearly 500 young shooters from 28 schools across the state took part in the first day of the expanded, two-day event which capped the fourth Spring Season in the growing ND CTL program. Coming on strong in practice and regional events after the season ended, both Krick and Dunlop posted impressive starts with totals of 45 in the first session of morning rounds, followed by totals of 46 and 43 to finish out the day, Capturing top honors in the female Junior Varsity and Novice Divisions. Century 8th Grader Halle Dunlop won the ladies Novice division with a total of 88 at the ND CTL State Tourney. MR CTL Photo by Brent Lipelt. “Both of these young ladies found their groove between the end of the season and the State Tournament,” said MR CTL volunteer coach Nick Simonson, “you could see their confidence on stand as they rolled through each round at the event,” he concluded, adding Dunlop exceeded her regular season average by 8.1 targets at the competition. In the overall competition, Rugby claimed the Class 1A title with a total of 477 targets (out of 500) with Oakes and West Fargo rounding out the top three on totals of 468. Landon Hill of Oakes took home the High Gun award for boys with a total of 99, and Kyla Radomski of Rugby nabbed the girls’ High Gun award with a total of 95. For complete results of the Class 1A Tournament, click on the ND CTL page at claytargetscoring.com. Informational and registration meetings for the Fall Season of ND CTL at all six high schools in the Bismarck-Mandan area will happen in August. To learn more about the program and stay updated on that information and more, visit the MR CTL website at mrctl.org, or find them on Facebook.